Arvid Hathaway, age 80, passed away Monday, November 5, 2018 at the home of his son in Price. Arvid was born in Genola, Utah on February 18, 1938 to James Finley and Doris Ella Greenhalgh Hathaway. He married Linda Bray on October 13, 1962; later divorced. He married Betty Black on December 9, 1977. She preceded him in death on December 12, 2012. 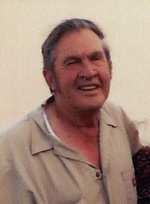 Arvid was a coal miner and worked for Soldier Creek mine for many years before moving to Battle Mountain, Nevada where he worked for TIC Construction company. He retired in 2006, after which he and Betty moved back to Price. Arvid is survived by his son and daughter; Scott (Kimberly) Hathaway, Price, Ut and Stephanie (Kurt) Bellm, Olathe, Co. He is also survived by his two grandsons, Zachary and Garrett Hathaway. He was preceded in death by a son, Shaun Hathaway, August 6, 2018. Graveside services will be held Saturday, November 10, 2018 at the Cliffview Cemetery, Price at 11:30 am. Friends may call at Fausett Mortuary 680 E 100 S, Price prior to services from 10:00 am to 11:00 am. We would like to express our sincere appreciation to Rocky Mountain Hospice, especially Erinn for her devotion and dedicated care for Arvid. This obituary is protected by copyright by Legacy Funerals & Cremations. Proudly Serving the Community of Price. Legacy Funerals & Cremations is located in the state of Utah, United States.